Valentine’s Day is fast approaching. Who couldn’t use a little extra cash for a gift right? 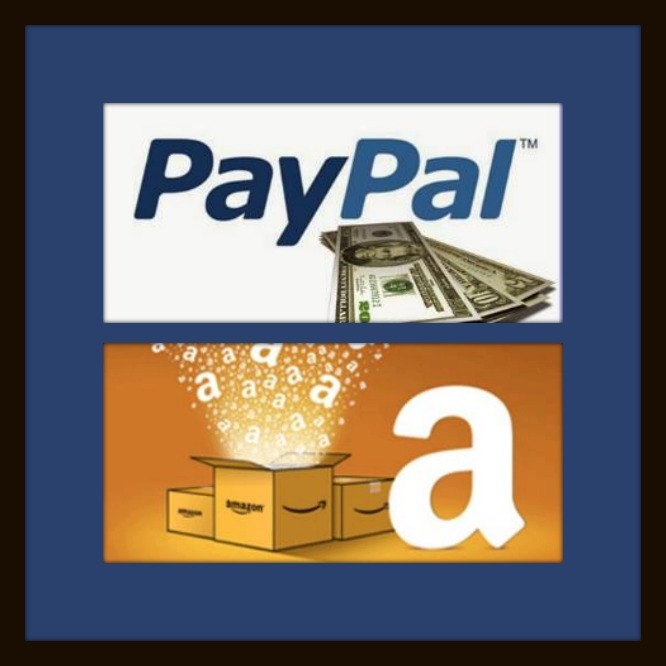 You get to chose Paypal cash or an Amazon gift card. I know that would help me out with gift buying. Remember, this giveaway ends at 11:59 pm on Jan. 25, 2015! Tell your friends so they can enter, too! I see the glass as half-full!! Expect a miracle, and see what happens! Positive attitude greatly improves any situation. I am a true optimist! The glass is always half-full! I try to be optimistic about everything. I see the glass as half full. I try to stay positive, but some days are more difficult than others. Usually by the end of the day I can look back and say all in all it was a good day. I always look at life as the glass is half full. I try to stay positive and optimistic and I believe in surrounding myself with like-minded people! I don’t have one way of looking at things. Sometimes it’s half full, sometimes half empty. Either way, I always work hard to try and fill the other half of the glass! Half full for sure. No sense being pessimistic, it wouldn’t work anyway….. Try to be positive and see it as half full. It is according to how my day and year has been going! lol Right now things are not going so great so my glass is half empty but I hope another day in the near future it will be half full! My glass in life is always full. I am an opportunist. I take full advantage of what is presented to me and in doing so, I live life to its fullest. Half-Full, I try to be optimistic. My glass is always more than half-full! I always try to see the silver lining in every cloud, and the glass is always half full. I try to be positive but tend to always prepare for the worse, however I do use a sense of humor most of the time which I think is just as important to smile! I always try to be positive & look at the glass half full! I am a very optimistic person so I see the glass as being half full. When I went through stage 4 liver cancer I only saw an empty glass. After my transplant, it was half full. Now six years later, my glass is mostly full. I am here. I am breathing, and according to doctors, I shouldn’t be. I am more of a glass half full kinda gal. It’s always good to appreciate what you have instead of focusing on what you don’t. There have been moments in my life where I looked at the glass and saw it as half empty but things are fabulous at the moment so my glass is definitely half full. Glass is always half FULL! Depends on the situation, but mostly half full kind-of-girl! It depends on the situation, but I tend to think half empty a lot of the time. Ok…I was going to fake my way through this and say I try to always have a great outlook. Not so true. I have faith, and that gets me through most of life’s “stuff”. But, there are many days where I just ask “can it get any worse”. But, there are those wonderful days that I have when I think “I am one of the most blessed people on the face of the Earth”. So…there it is. Some days are good, some are bad. I’m pretty sure that is how everyone lives. God bless everyone! IT’S a Balance between Half /Full !!! It really depends on my mood! Sometimes it’s half full, sometimes it’s half empty! I would like to think the glass is half full but I think it as more half empty. My outlook is good – I always look for the best things in any experience. I’m more of the “I think the glass is twice the size it needs to be” kind of person. Since being diagnosed with breast cancer, and now 3 years cancer free, i see the best in everything. Life is too short. I believe that i am a half full optimist that things will always work out. Half full. It’s always good to have a positive outlook in life. Life is stressful enough to add to it. I try to look at life as the glass half full but it is hard sometimes. I’m more of a 99% full kind of gal! Glass is half full! Want to have an even more positive outlook in 2015, though! I have a positive outlook on life. I definitely see the glass as half full. I try my best to be optimistic despite the hardships I’ve gone through. Life is too short to be miserable…enjoy life! it’s not looking too good right now but can’t stay stuck in the dark. I always seem to look for the worst in things so when things happen I am prepared. I am usually pleasantly surprised but there are so many times I have been right to prepare myself for the worst. I bhelieve the glass ihs half full. Usually half full but there are some days where I would look at it as half empty. Half full! I always try to look on the bright side. Thank you Mom for teaching me that! Of course I think about life . This year my new years resolution is to stop and smell the roses. Lifes to short not to slow down and enjoy it. Half full. There is good everywhere. Half full. There is a positive side to most situations. Not that I never get upset or in a bad mood, but when something ticks me off I tend to get over it super-fast because there is usually something else positive to focus on. Some days half full, some days half empty. I have four Anxiety Disorders, so it’s a real rollercoaster! Being more positive is one of my goals for this year. I try to be positive most of the time and I believe in surrounding myself with other like-minded people! I like to think I am a half full kinda gal. I don’t like to think that the bad outweighs the good even though something may be going wrong. I’m a positive person in general! No time for negativity! I’m typically a “half-full” kind of person, if only because I’ve really learned to have an attitude of if I can’t do anything about it, then deal with it, and if I can do something about it then I will! I’m very optimistic, to the point where it gets on everyone else’s nerves. Lol I always see glass as half full. I know I’d want people to give me the benefit of the doubt so I try to give others the same. Always full…I am responsible for anything wasted. Totally depends on the day. Usually were half full. I’ve always been the “half empty” kinda gal on life in general. However, when it comes to specific events, I am more likely to be “half full” especially when others are involved. I always try to think positive around others, even if I can’t just for myself. half full, I look forward to the future and leave the past where it belongs. depends on the day and situation! Half full for sure. I have an awesome life. I tend to have negative thoughts. I am working on it. I try to stay positive most of the time. I try to keep the half full outlook. Lately, with some medical issues in our family though, it’s been hard to keep. My outlook at life is taking it one day at a time. I use to wake up each day filled with worry but now I realize life is to short to let things get me down. I started keeping a journal and it really has helped me deal with things in a much better outlook. I like to think my glass as being half full so it gives me room to add things to it! Keeping it full makes me feel overwhelmed. Sounds a bit crazy but when you have lived a life that has been filled with heartache, loss, happiness, failure, and new beginnings you can really learn to respect and deal with situations in a different direction. So rather than seeing a glass half empty OR half full, my way of seeing things is that we should always use what we HAVE to invent what we to create (invent) what we need (want) ! Depends on what kind of mood I’m in, what kind of day I’m having. I try to keep the half full approach. I like to think the glass is half full, but it’s not always easy. Each day is a new opportunity for something wonderful to happen. Lately, I look at life as half empty. I am going through some stuff, but I will get back to half full again! I look at life half full. Each day is a blessing. Before I always thought of everything in a negative way. Now though I love life and do my best to find something positive in any and everything that happens to me. So I’m a glass half full kind of person these days!